I think this story got planted in my head as soon as I started working for Adarna House in 2007. Even then, it was part of my tasks to write copy for all our online stuff, which included calls for submissions. 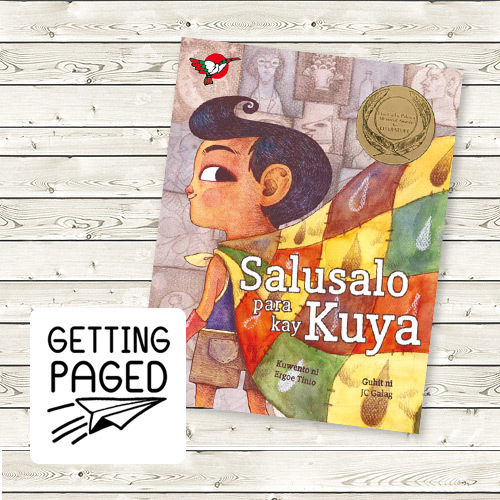 That year, and for many years after, when Adarna still specified topics for picture book submissions, the call encouraged submissions to help kids deal with difficult issues—or assist adults in helping kids process concerns that can be frustratingly confusing—such as death. I didn’t really start writing anything until 2012. 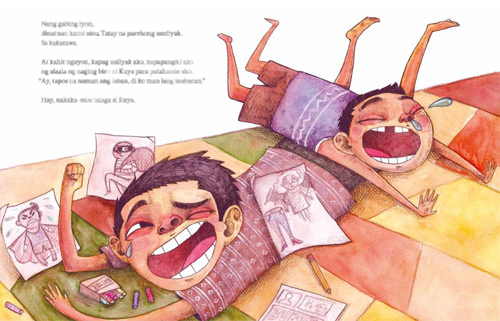 Author Nanoy Rafael and illustrator Hubert Fucio were facilitating a workshop on creating picture books for children, and I was assisting them. In an idle moment, when the participants were busy working on their task to make storyboards, I decided to join in and create my own. Maybe it was because the story had been stewing in my brain for half a decade, maybe it was because of the lingering memory of past events, or maybe (probably) Nanoy and Hubert were that inspiring, but for reasons that will forever remain a mystery, this story appeared to me complete—from start to finish, scene to scene to scene. A month later, after some revisions, I submitted the manuscript to Adarna House. A month after that, I received a rejection letter with some editorial advice from the great Ani Almario. (Yes, it was all very formal.) I took the advice to heart, made further revisions over the next six months, at the end of which period I submitted the manuscript as an entry to Palanca. Four months later, I receive the good news that the story actually won something. I shared this revised version with Ani as a thank-you for her generous feedback. Soon, I would receive news that the quest for an illustrator was in progress. Yehey! 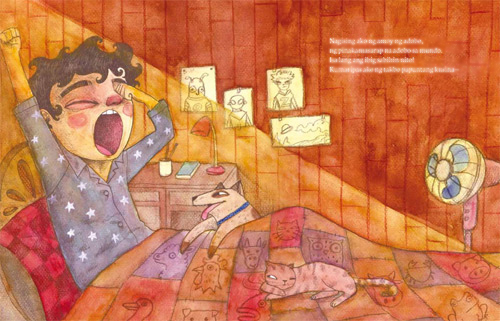 I’ll stop here lest I make the book less adorable with my beaming pride. Let me just shout out a few thanks to Nanoy, Hubert, Ani, and JC—you guys rock! It’s mentioned in really small type on the copyright page of the book, but I want to also say that this book is dedicated to Tanya, my (the!) best friend in the whole time-and-space continuum, and to the memory of her kuya, Leandrei Fritz Menor, who made art out of being a brother, son, and friend. You are forever missed, Lean! of JC Galag and Adarna House. 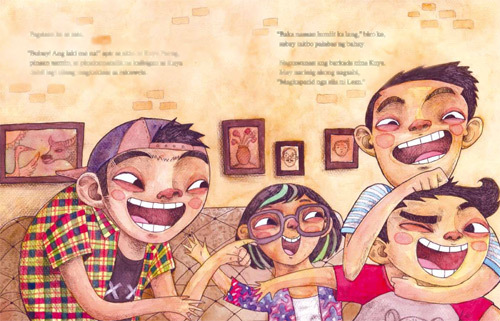 Ang ganda nga ng illustrations! Congraaaats! 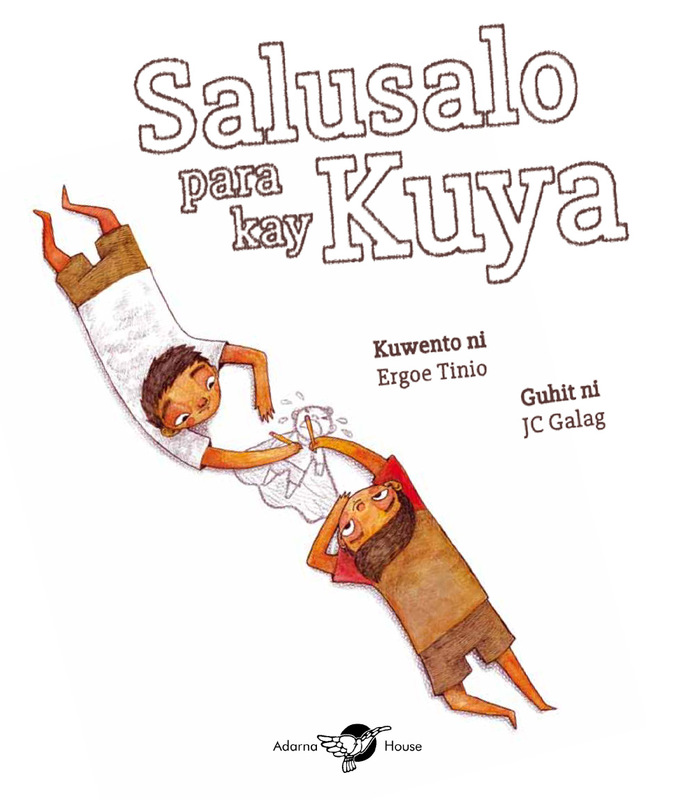 Ganda ng mga illustrations, JC! Sooo happy for u Joyce!!! 🙂 proud classmate ang peg ko haha..
Salamat sa paalala na hindi nag iisa ang pamilya namin sa pag gunita at pag salusalo para sa mahal na yumao. We just read your book. 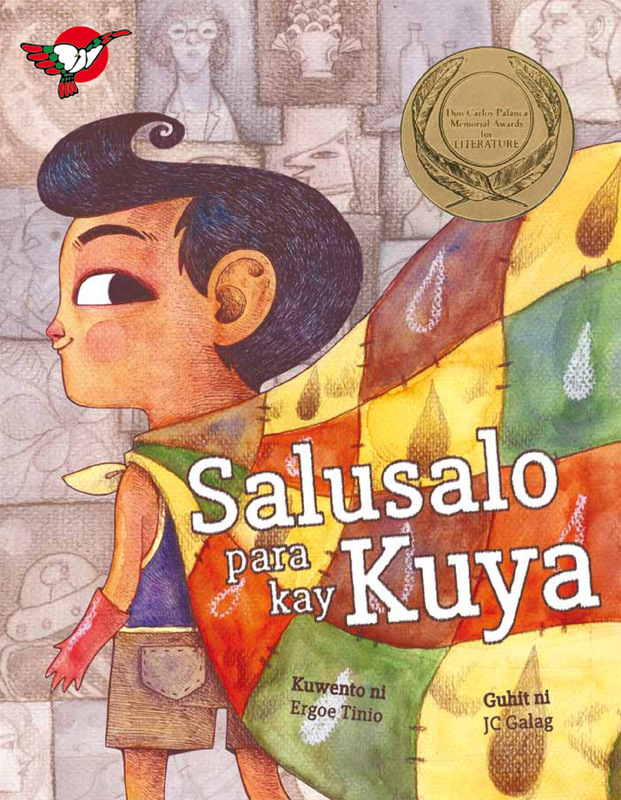 If it didn’t win in 2013, I’d ask if it was about our story of deaths in the family in 2014 and the birthday, anniversary, graduation celebrations we’ve had since, many of which were picnics at the memorial park, with striking similarities to Salusalo para kay Kuya! Our practices aren’t strange after all!